This May will mark the twentieth anniversary of the publication of Kurt Cobain Was Lactose Intolerant Conspiracy Zine. The zine is a perennial favourite that is still widely read and cited all these years later. Given the often impermanence of the zine format, are you surprised that the zine has engaged a new generation of readers? Honestly it is pretty odd that I keep it still in print all these years later since initially I published it as a joke zine, but I will continue to do so as long as people are ordering it. It’s fun to see people’s reaction at zine fests in person when they pick it up and start skimming it. I think Kurt has a timelessness about him, like Jimi Hendrix, the Beatles, the Stones, that makes him speak to different generations. At the last zine fest, I met a photographer who was friends with Courtney Love, and we got in a deep conversation about her role in Kurt’s death. 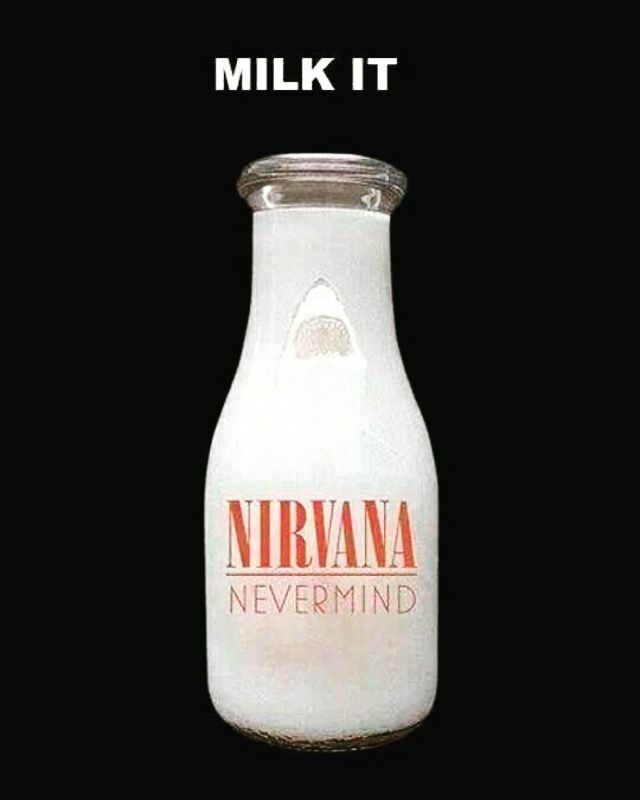 I think it is a mystery that plagues many Nirvana fans, young and old. People are looking for answers, and oddly enough, many people have read the zine and tell me it “makes sense,” which is bananas. You wrote that the idea for the zine was conceptualized while standing in line for the documentary film, Kurt and Courtney, by Nick Bromfield. Can you take us back in time and briefly walk us through the process of conceptualizing and creating the zine? At the time I was working at an art gallery and had a lot of downtime. The internet was pretty new, so I spent a lot of time chatting on AOL and visiting alt.zines, a newsfeed where a bunch of sassy and salty zinesters were constantly snarking each other, so that accounts for the tongue-in-cheek tone. As for the style, I was in my first graduate-level literary analysis course, so I used an academic style to approach the subject, and I got a lot of my frustration with my classmates out by doing such heavy lyrical explication. But mostly I wanted to create something a little bit crazy to entertain my zinester friends so the whole thing was written and put together in a frenzied two days at my job. It was really fun. Luckily my work had a copy machine there, and the framer at the gallery was a graffiti artist so he did some of the artwork. What other zines, or other art, or music were you accessing in May 1998 that may have served as inspiration? At the time I was dating Marc Parker, who did Azmacourt zine, and we were doing a lot of satire– we were making up identities and basically catfishing before it was an MTV thing. I was also friends with Ruel Gaviola who did the review zine, Amusing Yourself to Death, and we were always trying to crack each other up, so I mostly wanted to make my friends laugh. According to zinewiki, the zine inspired the song, Dear Diary, by the Scottish band, Gay Against You? That’s so rad! Dude, I know. I am dying to hear the song. 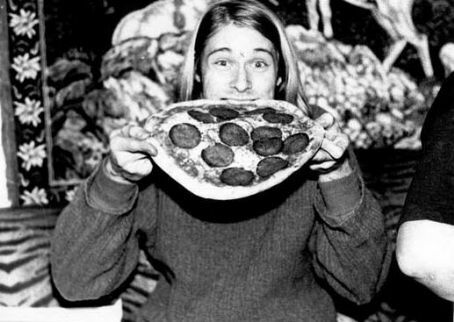 How did the Kurt Cobain Was Lactose Intolerant Conspiracy Zine inform or influence your later writing, or did it? The interesting thing is that I’m more known for my confessional perzine work, so for a while, no one believed it was me who authored the zine. Most readers thought the author was male for some reason, and I had a hard time convincing people it was me. At times I think about doing another one-shot about something nutty but the diary-type writing speaks to me more. I’m a mom and a teacher now, so I rarely have time to go down the rabbit hole for 48 hours on a particular subject, but I would love to! Every once in a while, I get an obsession in my head, like how Brazilian jiu-jitsu is just like PVP in World of Warcraft, and I think that a zine would be in order, but I never get it on paper. Any plans for a 20th anniversary reprint? As far as I know, the zine has always remained in print. If I wasn’t printing it directly, there are flat copies distributed by distros. The zine is still available through Etsy and Pioneers Press? If you had to estimate, how many copies have been printed? The goal was to make it to 1,994, the year of Kurt’s death. Each copy was hand-colored and hand-numbered until distros approached me for flats so they could make their own copies, so I think I got up to the 700s before I stopped numbering around 2000. I would guess it’s probably reached the 2,000 mark. What have you been working on lately? What have you read recently that really stuck with you? I am still publishing That Girl zine, my first zine that I started in 1993. Each issue has a different theme– my trip to India, my difficult pregnancy, raising a son with autism, etc.. The latest issue is about music that influenced me and I had a great time writing that because I got to write about the dance music I loved when I was a pre-teen and how the B-52s and the Go-Gos really changed my world. It was fun doing homage to all the bands that had a part in forming my identity and my aesthetic. Right now, I’m caught between two projects– the first is a novelette about my senior year of high school, which is turning out to be The Year Punk Broke meets Valley Girl; the second is all about body issues, with each piece focusing on a different body part– eyes, hands, feet, etc. At my most prolific, I was only doing a zine a year, so I am behind schedule, for sure. 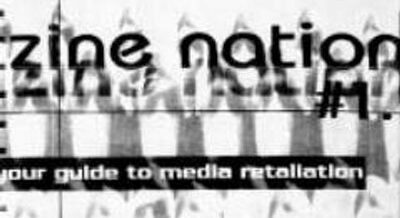 How do you see zine culture and the independent press evolving in the next twenty years? I have seen a lot more artistry in zine culture, lately–zines are beautiful to look at with color copying, different inks, silk-screening, book-binding, etc. There seems to be less emphasis on the cut and paste, black and white style I grew up with, and in a way, oldsters like me don’t sell well at zine fests because people see big inky blocks of texts, and they’re not used to it. That said, I don’t do the zine to make money or appeal to a wider audience. I just love relating to people who don’t see themselves represented by traditional alternative culture– like a dude in Portland who talked to me about late 80s industrial bands and the lady in LA who talked to me about Hinduism until our shakti burns us both up until we were sweating bullets. I believe that the themes will be more positive, as there is so much negativity in the mainstream now, that it’s up to the subculture to make optimism edgy. I also think with the ubiquitousness of online content, that more handcrafted zines will continue to be the trend. People like holding a piece of beautiful art in their hands because of that present, tactile input. Kelli Callis is a zinester and educator. 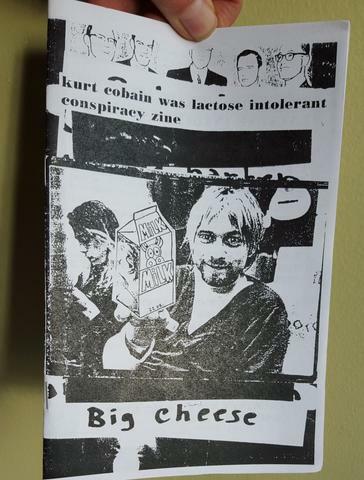 You can order copies of Kurt Cobain Was Lactose Intolerant Conspiracy Zine here.